There is no question that Neymar is one of soccer’s best players today. The gifted striker is magnificent to watch and plays the game with verve, joy and panache reserved for a small handful of those in the game. However, the Brazilian star faces criticism for how he plays and acts on the field. This is in large part due to the perception that he dives too much with even the cursory of touches sending him to the ground, arms and legs flailing about. Granted, being one of the world’s top players makes you a target and some of the fouls during this year’s World Cup were rough, but being on the deck for over 14 minutes during a tournament would probably qualify as excessive. Flopping and acting is part of the game. But Neymar can be more like Nicolas Cage in Bad Lieutenant while everyone else is Gary Oldman in Tinker Tailor Soldier Spy (an odd reference, I know). 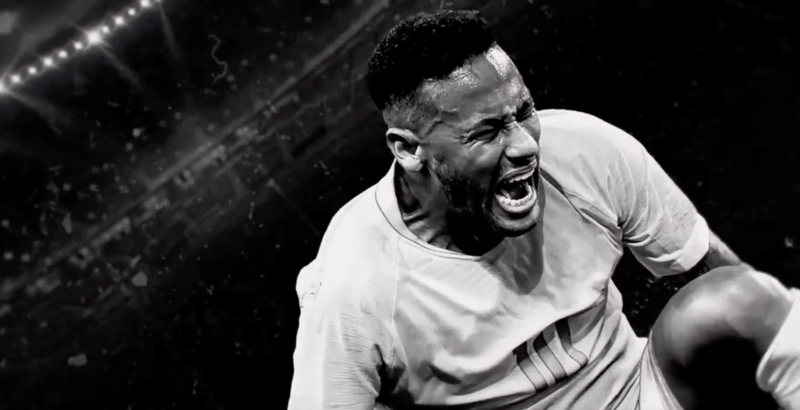 His over-the-top antics are so bad that KFC in South Africa, without naming Neymar, trolled the superstar in an ad during World Cup season. Neymar cuts a polarizing figure among fans, and the roads diverge in this yellow, blue and green wood due to Neymar’s theatrics and histrionics. You either love him or hate him, and the latter seems to be most prevalent today among fans outside of Brazil. A Gillette ad featuring Neymar launched this week with the intention of addressing the issue and repairing the star’s image, but it likely did more harm than good. Which brings us to this ad itself. I badly wanted to like it because I am in awe of what Neymar can do on a soccer field. “A New Man Every Day,” however, is not a great way to say “sorry” when the world waits two weeks to hear from you publicly after the end of the world’s biggest soccer tournament. “You may think I exaggerate. And sometimes I do exaggerate. But the truth is I suffer on the pitch,” Neymar says in the ad. This is not exactly a full-throated admission of wrongdoing and sounds better suited for the Trump White House than a razor ad. “When I leave without giving interviews it is not because I only want the victory laurels,” he continues in the spot. “It is because I still haven’t learned to disappoint you. When I look impolite, it is not because I am a spoiled kid. It is because I have not learned how to be frustrated.” Here, he is referring to his non-interviews after his team was knocked out by Belgium in Russia. This just sounds like someone dumped a bunch of words into a big Boggle set, shook them up and let fate take over. Though I will give bonus points for the admission that he is, in fact, a spoiled athlete. Then, there is some nonsense about him being a boy that “sometimes charms the world, sometimes irritates the whole world.” I think most of us are irritated, pal. “You may think I fall too much.” Yes, this is true. “But the truth is I did not fall. I fell apart.” Now it’s starting to sound oddly existential, which could be a nod to his club, Paris St. Germain, or the World Cup winners, France.